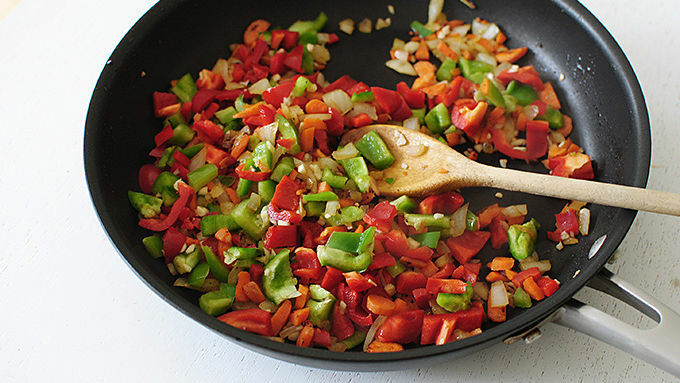 In a large sauté pan, brown the beef over medium-high. If using a high-fat beef, drain. 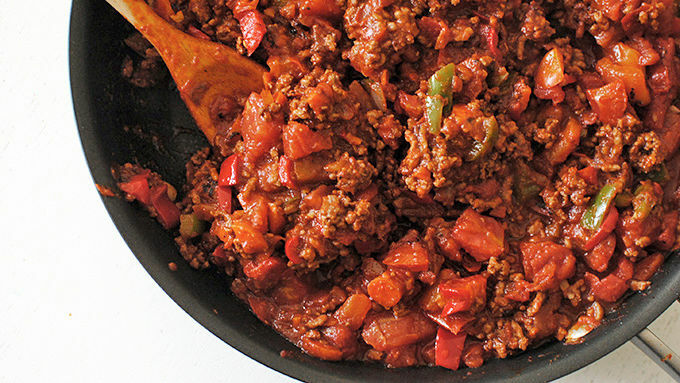 Remove meat from skillet; set meat aside and return pan to the stove. Back in the pan, add the onions and carrots. Sauté for five minutes, until they start to soften. Add the peppers and garlic. Sauté another 2 to 3 minutes, taking care to not burn the garlic. Add the tomato paste, ketchup and Worcestershire sauce. Stir to combine. Add the beef and tomatoes to the pan and simmer for a few minutes. Taste it and season with salt and pepper if needed. 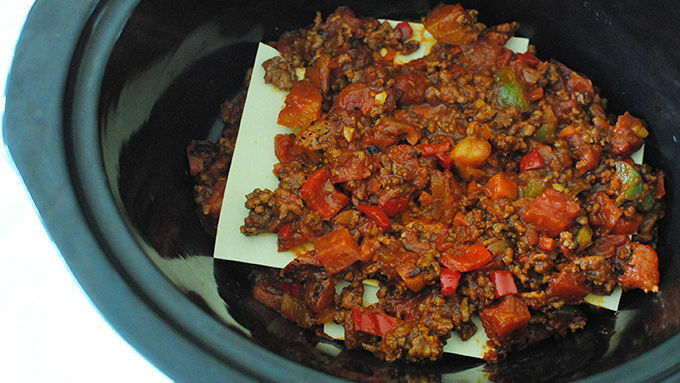 In a slow cooker, spoon a little of the beef mixture on the bottom. 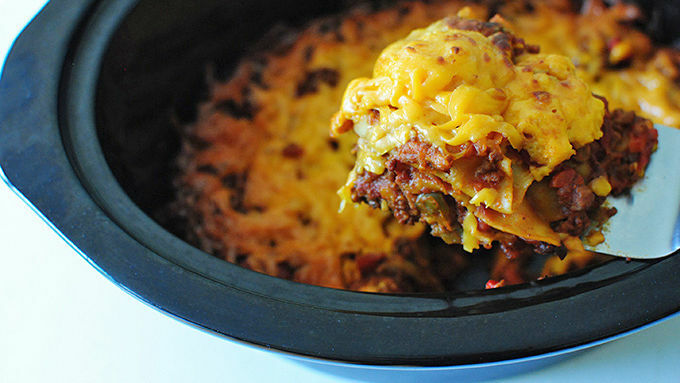 Lay a couple of lasagna noodles on top of the beef, breaking them to fit the pan. Layer with beef mixture, more noodles, more beef, more noodles and the remaining beef. Sprinkle the cheese on top. Cook for 3 to 4 hours, until the noodles are cooked and cheese is melted. Add more cheese between the layers as desired. So this is what's going on. 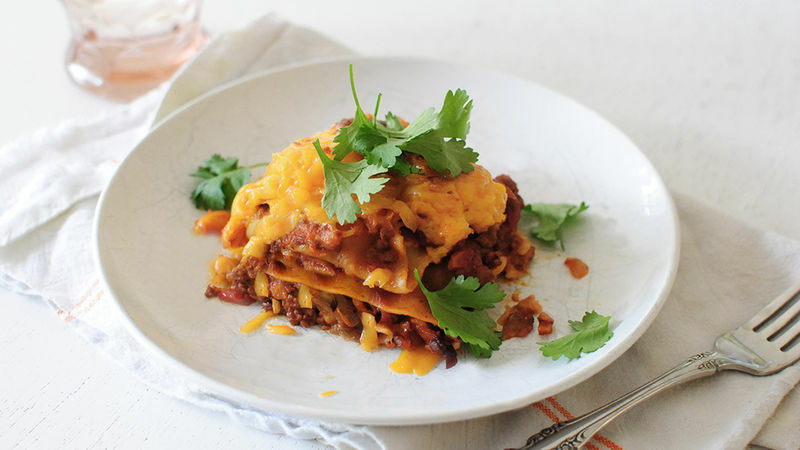 Sloppy Joes, in LASAGNA FORM, in the slow cooker. Bam. Slow cooking in the summertime is the way to GO, yo. No hot muthah oven blasting your house to sky high temps. No hair collapsing when you open the oven door due to the devil whipping his tail around on it. This is so easy. You prep your Joe mix in a pan, then slide it between some no-boil noodles, top the whole thing with an obnoxious amount of shredded cheddar and push "go". Walk away for hours. Watch some TV. Do some gardening. Take a nap. Who cares. It's your life. The good news is you don't have to fix your hair. Because you remember the whole devil thing? He's not here because you're not using the ove– never mind. Let's get sloppy!